Chocolate usually goes hand in hand with ownership of a womb, yes? Well not for me, I'm not really a chocolate lover at all but this week I have been cheating on my beloved treat of chips with chocolate! A lazy night in front of the TV for me is not complete without a yummy selection of savoury happiness providers and this week I was sucked in by interesting packaging and discovered something hiding in the chilled section of my local supermarket that I just had to share. 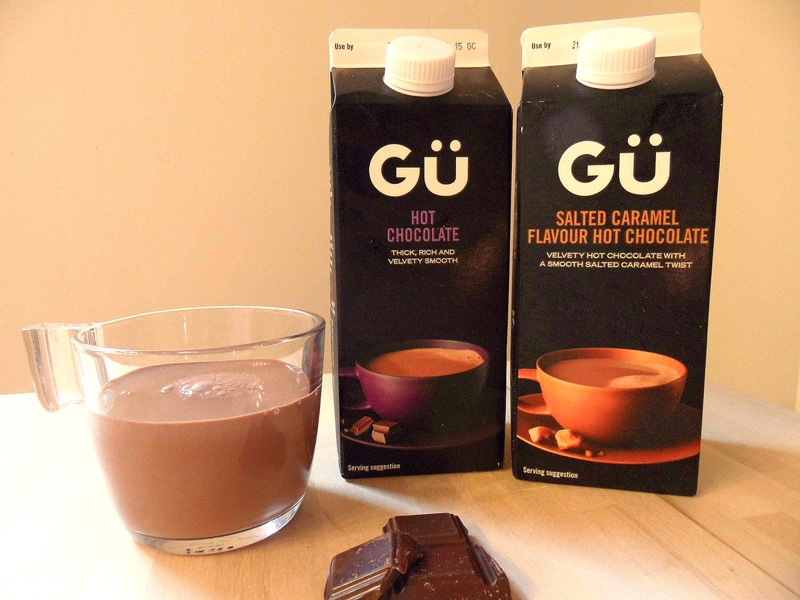 I picked up two flavours from the new range of Gü Chilled drinks in "Hot Chocolate" and "Salted Caramel" and I'm firmly on my way to being converted to the owner of a sweet tooth. As I mentioned, these cartons are sold in the chilled section, they are fresh products but with a fairly reasonable month-long use-by date which is good, if like me, you don't want to down the entire contents in one sitting. Although advertised as hot chocolate, these can be served cold as a thick milkshake style drink but I bought them with the intention of having them hot. It's bloody cold out there right now. It's the end of July!! But it's cold! So I wanted some cosy hot treats. So after a 2 minute DING I found the creamy, thick chocolate drink a welcome addition to my night-time routine. I've always been interested in the concept of salted caramel - as a savoury lover it made me wonder if it would be the best of both worlds and I think, even though it's a little sweet for my usual tastes due to the caramel, I think the salt rescues the flavour for me. 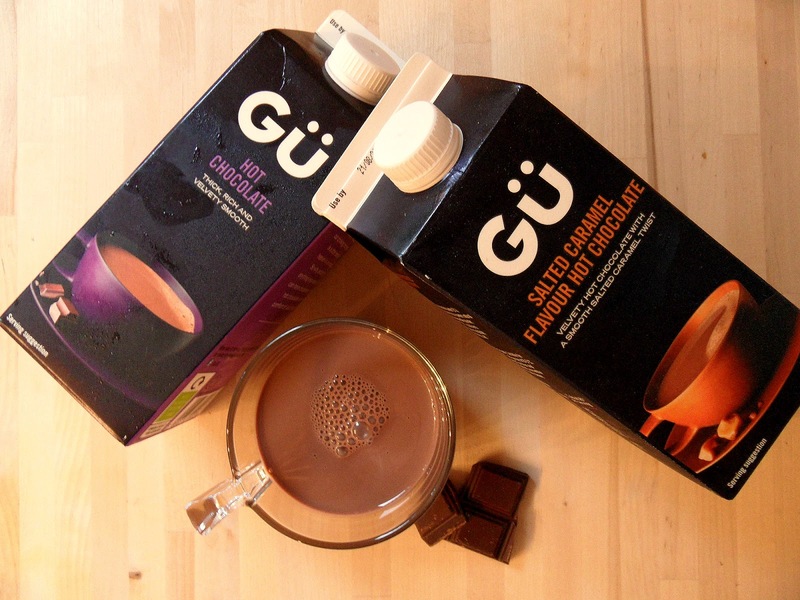 I think personally the original chocolate flavour is my favourite of the two; these drinks feel indulgent and although very rich, as a treat now and then; they really are delicious. Are you a chocolate lover? Or like me are you usually all about the savoury? Either way, I recommend you give these a whirl. 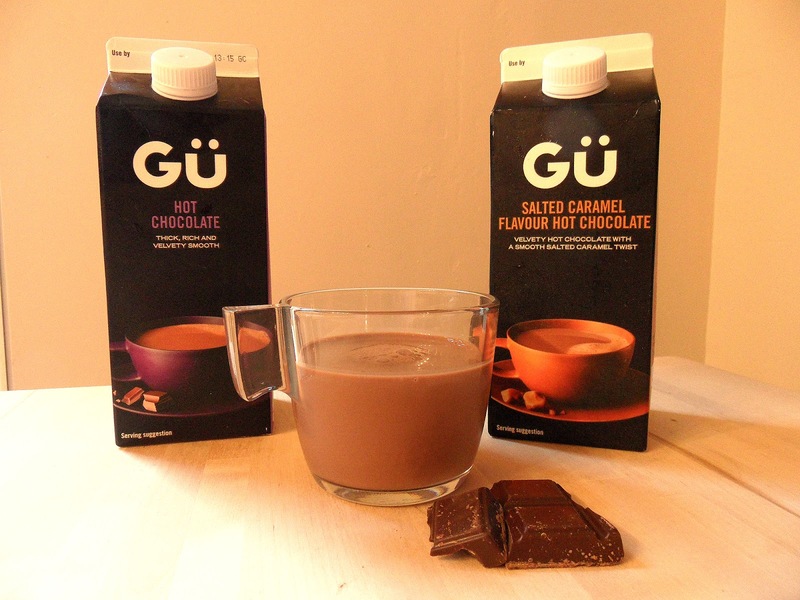 The new Gü range comes in three flavours: Mocha, Salted Caramel and original Chocolate. They retail around £2.00 for a 750ml carton but are currently on offer in Tesco right now for £1.50(here).